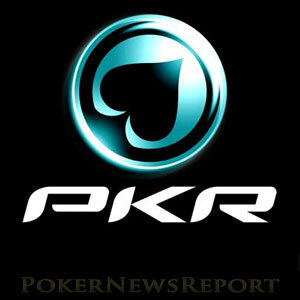 PKR Poker – the innovative 3D poker site – is giving up its independent status after ten years and becoming a skin on the Microgaming Poker Network (MPN). Back in 2006, the online poker world was treated to the launch of PKR Poker and a 3D virtual experience that was intended to revolutionise the way people played online poker. The initial burst of interest produced sensational results. In August 2007, the site recorded 15,000 players online and – by the end of 2012 – PKR Poker had five million registered users. However, the subsequent ring-fencing of several European markets resulted in a significant decline of traffic. Although improvements were made to the site, a mobile product was introduced and the value of the PKR Poker bonus increased, the novelty of character animation failed to replace a lack of liquidity and there was a substantial exodus away from the site. Last September, PKR Poker made sweeping changes to its management team in an attempt to reverse the decline. 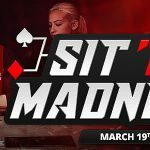 The site brought in Party Poker´s former Head of Poker – Chris Welch – as CEO, who then hired an experienced support team consisting of industry professionals from companies such as Bwin, Betway and Ladbrokes. Unfortunately, the introduction of new faces failed to have the desired effect, and the slide in traffic continued. According to the online poker traffic monitoring site PokerScout the site rarely peaks above 350 cash game players, and the value of the site´s feature tournaments has been reduced due to the fact that they were failing to meet their guarantees. 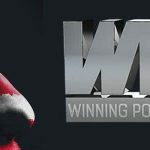 Writing on the site´s forum, Welch announced on Friday that PKR Poker will cease to be an independent online poker site from the end of February and join MPN. He wrote that the move is necessary due to PKR not having the marketing funds available to invest in attracting fresh liquidity, and that when players log into their accounts after the site has joined MPN there will be six times as many players, three times as many tournaments and more than €3.5 million in tournament guarantees every month. The addition of up to 350 players will also have a significant impact on the liquidity available on MPN. The network has increased its traffic levels by 33% in recent months and currently attracts a seven day average of 850 players. The addition of the PKR Poker database will bring MPN up to a similar volume of traffic as experienced by Party Poker. In addition to an increase in liquidity and bigger and better tournaments, Welch is promising that PKR players will benefit from a whole series of changes. These include a revamped PKR Poker VIP Club, an instant play in-browser client that will give players access to MPN´s fast-fold poker game – Blaze Poker – and an improved player admin area within the poker client. Other changes that will be introduced at the time of the move to MPN include two new online casinos – PKR Casino and PKR Vegas – and a change of the currency used at the tables from dollars to €uros. The change of currency is necessary because MPN already uses €uros at its cash game tables and poker tournaments, and it will benefit many of PKR´s European player pool, who will no longer incur currency exchange charges. The move to MPN will not signal the end of PKR Poker´s innovative software. In the announcement of the move, Welch states that the PKR Poker download will retain all the feature and animations that players are familiar with now. Players will also have the option of changing their poker aliases and playing at MPN´s anonymous tables if they wish. Welch concludes his announcement by inviting players to “go all-in with us and see where it leads”. Hopefully it will reverse the fortunes of PKR Poker and return the site to its former level of popularity. PKR is dead! They’re just trying to make a few bucks before the inevitable sell-off.